Yellow top range CCA: 975A Optimal starting-up power even in extreme conditions. Starts all engine types (petrol or diesel) no matter the weather conditions. Maximum performance for minimum weight and dimensions. Deep-cycle and cranking power Up to 3 times longer life More than 15 times the vibration resistance Spillproof, mountable in virtually any position Maintenance-free Faster recharging Optimal starting power 300+ discharge/recharge cycles Heavy duty battery that functions well as a tractor battery or forklift battery. Shock resistant casing in polypropylene. The YELLOWTOP® high-performance AGM battery has everything you need. 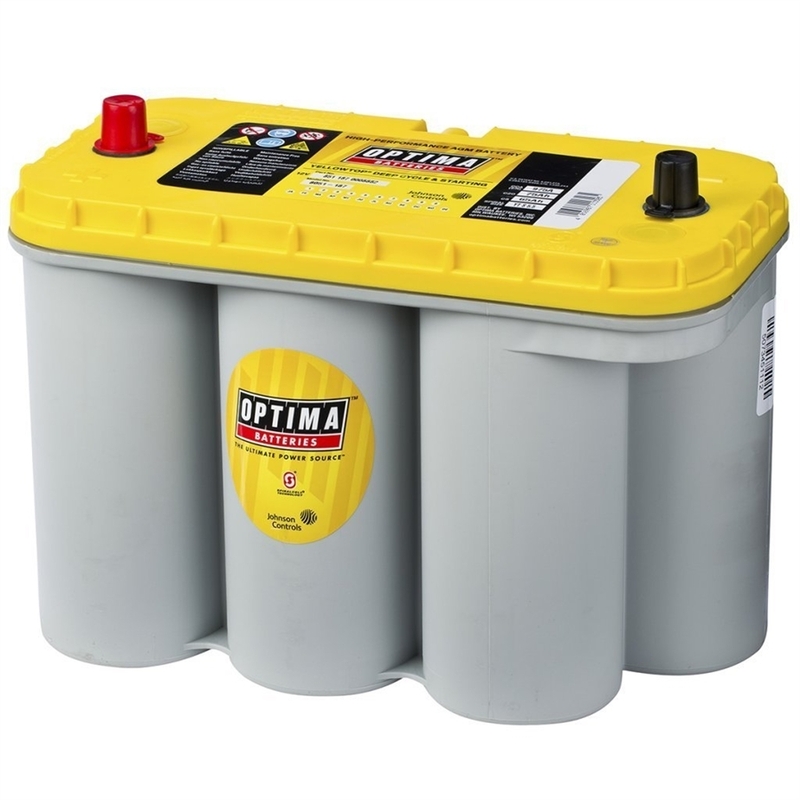 It's one of the few true dual-purpose automotive batteries available, and performs above expectations as a tractor battery, forklift battery, or for other applications. With premium cranking power and impressive cycling capability, this heavy duty battery is also perfect for modern accessory-loaded vehicles. The YELLOWTOP can repeatedly be brought back from deep power drains to full charge, so it can power plenty of electronics and still start you up time after time. Low internal resistance also provides more consistent power output and faster recharges. Trucks with winches, vehicles with high-demand electronics and audio systems, commercial vehicles and heavy equipment can all rely on this battery to provide ultimate starting and deep-cycle power. It also functions well as a forklift battery, tractor battery, or for other applications.